The Xiaomi Mi Band 3 was released earlier this year. It combines the best features of its predecessor and throws a better screen, water-resistance, all day heart-rate monitoring and NFC into the mix. The boost in specs make this an even better option for those looking to stay fit and save cash. But what can we expect from the next generation band? And when is it likely to land? While not as comprehensive as some of the other options out there, Mi Band gets the basics right. Its no wonder Xiaomi managed to shift over a million units in the first 17 days since the tracker was made available earlier this year. The band resembles a lightweight bracelet. There’s a water-resistant module that pops out of the strap when recharging. The 0.78 inch, 128×80 pixel, OLED display has an oval shape which blends well with the overall look. There is a display with improved pixel resolution, and its touch sensitive. 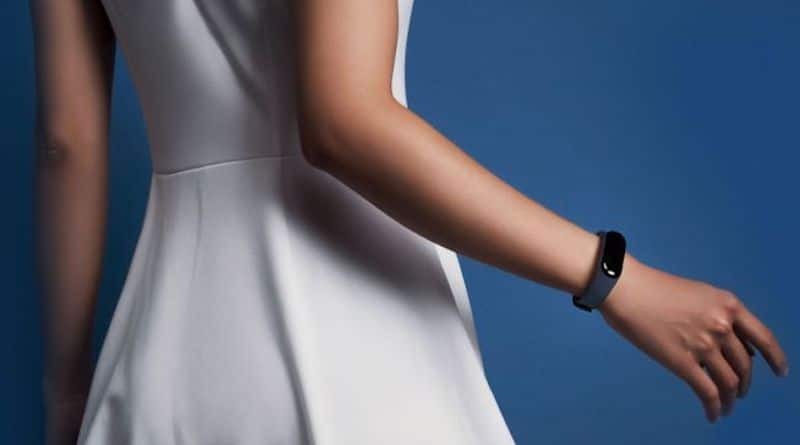 In terms of functionality, the Mi Band 3 keeps tabs on all the fitness basics and heart rate, it lets you see messages and Caller ID, there is an option for muting calls and NFC connectivity. There are also functions for checking the weather forecast, turning off the alarm and more. But despite sporting some decent specs for a budget wearable, there is room for improvement. The screen, for example, leaves a lot to be desired when it comes to visibility in the sunlight. Its responsiveness to touch is also not that great. At times you’ll find yourself repeatedly swiping before the thing reacts, which is frustrating to say the least. Also, the band is sporty and rather plain looking. And while it hasn’t been hit with an ugly stick, something more slick and modern looking would be nice. In terms of exercise, the band tracks walking, running (treadmill and outdoors) and cycling. It has auto-recognition so your activities will be monitored automatically. To be on the safe side, you can start an activity manually from the app. Thanks to a recent update, you can now do this from the tracker as well. One notable omission from this list is swimming. Which is rather odd considering the band is water-resistant. Whether it’s added via a firmware update to the current iteration, or Xiaomi waits for version 4 remains to be seen. Most fitness bands these days can track a wide range of exercise so we expect the Chinese outfit to expand their list over time. What’s also missing is GPS. Instead of going all the way and slapping on a built-in chip, Xiaomi may opt to upgrade the software to allow for Connected GPS. This is a fancy way of saying the tracker can tap onto your smartphone for a satellite reading. Its a cost-effective way of adding on the functionality and would make Mi Band 4 more attractive to runners. A few more advanced stats, such as VO2Max and something from the long list of Firstbeat metrics would make it an even better option. By default, the Mi Band 3 doesn’t come with an NFC chip. But there is a special, NFC enabled version of which allows for contactless payments. We expect all iterations of Mi Band to come with this functionality next time around. As always, any boost in functionality will come at the cost of eating up battery life. Xiaomi could opt for a full-colour OLED display next time around and built-in GPS, but the company will not want to compromise battery life too much. Currently, the band can keep going for up to 20 days on a single charge – and this is an important selling point. Finally, while the accompanying smartphone app is functional its all a rather simple affair that would benefit from a design overhaul. There are limited social functions and no leader boards to motivate you. On the positive side, you can sync with Apple Health and Google Fit. In addition to long battery life, Mi Band is also known for its incredibly low price. Xiaomi will be careful not to break this formula. The wearable is one of the most popular budget options so we are expecting Mi Band 4 to retain the super-low price. When it lands look for something that sells around the $30-$35 mark. The first Xiaomi Mi Band was unveiled in July 2014. 1S came out in November 2015, Mi Band 2 in June 2016 and the current version in May 2018. Apart from the last iteration, each successive year saw a new version of the band. Which indicates that the company may be moving to something resembling a two-year product cycle. Taking this into consideration along with the fact that the current edition is selling really well, we are looking for Mi Band 4 to land at the earliest in late 2019, and more likely in early 2020. There is only an outside chance we may see a successor before then. Hopefully GPS built in, no need a smartphone to carry out. I hope the text size will be larger for SMS messages. A built-in music controller would be great.